The three- vehicle accident in combination with heavy holiday traffic caused delays for several miles around mile 156, police say. A crash involving a recreational vehicle injured four people and contributed to delays for several miles on Interstate 95 north in Palmyra Saturday, police said. 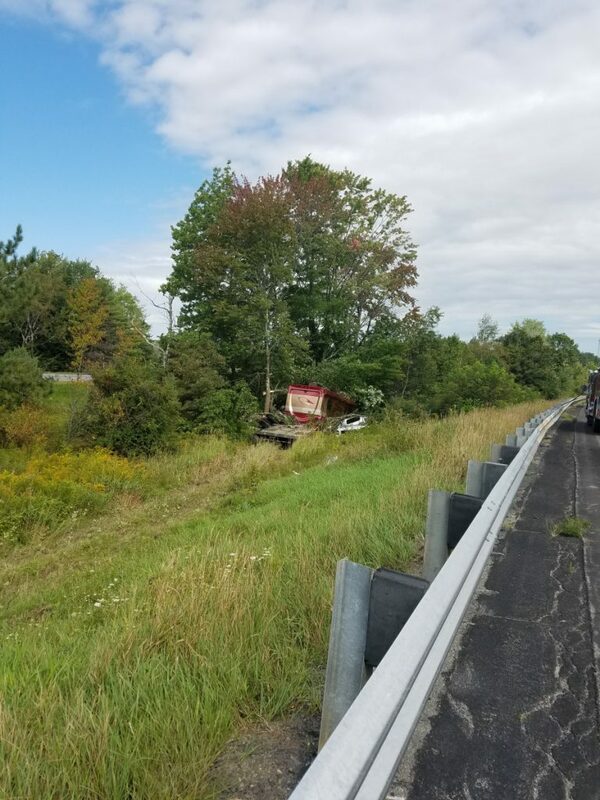 The crash occurred near mile 156 at around 12:30 p.m. and involved an RV towing a trailer hauling a 2017 GMC Yukon Delali SUV and a Yamaha golf cart, according to a news release from Sgt. Peter Michaud of the Maine State Police. The RV suffered a blown tire that caused the vehicle to go off to the left side of the road and into the median. It struck a group of trees and came to rest, causing the golf cart and SUV to be ejected from the trailer. The RV sustained massive front end damage as well as rear damage as it was struck by the SUV, Michaud said. All three vehicles were considered a total loss. The driver of the RV, Justin Gabriel, 30, of Boylston, Massachusetts, was trapped and was extricated by the Newport Fire Department. Gabriel along with his wife, Alyssa Gabriel, 31, and their two small children were all transported via ambulance to a nearby hospital for non-life threatening injuries, Michaud said. The crash, in combination with heavy holiday traffic, caused delays for several miles. The Maine Department of Environmental Protection also responded to clean up leaked diesel fuel.